Where a term like "Western architecture" is likely to conjure a gamut of specific examples ranging from the Colosseum to the Empire State Building, "African architecture"-whether ancient or modern-still connotes very little for a general audience in the West. Happily, this is changing, as Africa's recent economic boom is transforming the urban landscape across the continent, and yielding a rich new crop of architects and buildings with a range of approaches and solutions as diverse as Africa itself. 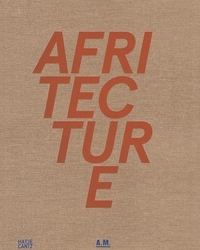 This opulently illustrated volume, with informative texts by the architectural historian Andres Lepik and documentation of models and maps, examines a broad range of examples of contemporary architecture in Africa. The selection is confined to countries south of the Sahara, such as Burkina Faso, Rwanda and South Africa, where the transformation of the architectural landscape has been particularly pronounced and remarkable in recent years. Throughout, references to the hallmarks and principles of Western historical architecture are notable; but equally striking is the innovative use of local materials and often minimal resources. Very little has been published on contemporary African architecture, making this substantial volume an important and pioneering publication.